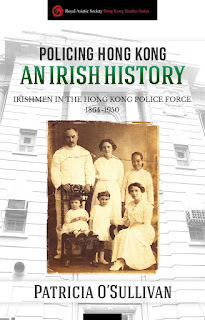 Policing Hong Kong – An Irish History is part of the Royal Asiatic Society Hong Kong Studies Series. 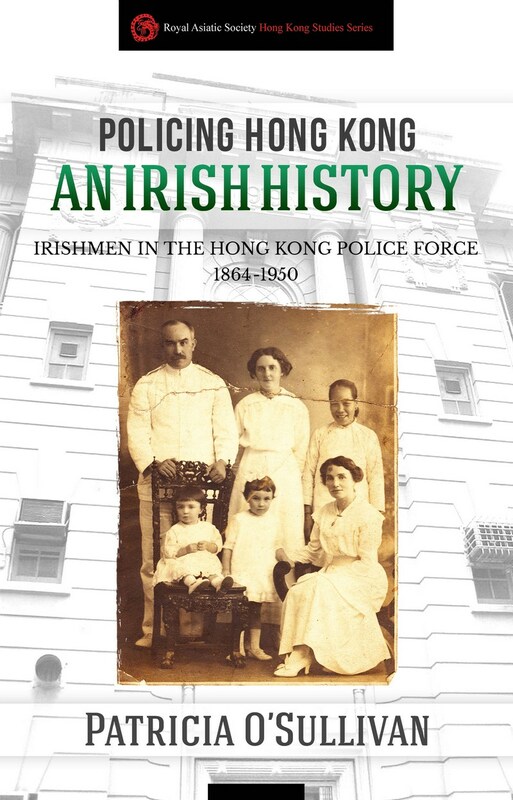 It explores the role of Irishmen in the Hong Kong Police Force, from 1864-1950. In 1918 Hong Kong was a tranquil place compared to war-torn Europe. But on the morning of the 22nd January, a running battle through the streets of a somewhat disreputable district, Wanchai, ended in what came to be known as “the Siege of Gresson Street”. Five policemen lay dead. Local people were so shocked that over half the population turned out to watch the victims' funeral procession. One of the dead, Inspector Mortimor O’Sullivan, came from Newmarket, a small town deep in rural Ireland. Many of his colleagues were also Irishmen, from Newmarket. Patricia O’Sullivan is a writer and researcher on the lesser-known aspects of Hong Kong’s history prior to 1941. Mortimor O’Sullivan was her great-uncle. This book is the result of her stumbling on an article concerning his death. Using family records and memories alongside extensive research in Hong Kong, Ireland, and London, O'Sullivan tells the story of her great-uncle, his colleagues, and the criminals they dealt with. She also gives a rare glimpse into the day-to-day life of working-class Europeans at the time, by exploring the lives of the policemen's wives and children. “Beginning with the ill-starred arrival in 1873 of a lone Irishman from Newmarket, County Cork, to be a policeman, followed by twenty more from the same town, and ending with the death of the last man in 1950, this groundbreaking book is a story of life, death, and crime in colonial Hong Kong. It is also an account of an important part of Hong Kong’s population that has eluded most historians: the European working class. With an arsenal of previously untapped materials in Ireland, Britain and Hong Kong, Patricia O’Sullivan, granddaughter and great-niece of two of these policemen, tells the remarkable tales of the families who over eighty-five years built their own ‘little Ireland’ in Hong Kong.” – John M. Carroll, Department of History, University of Hong Kong, author of A Concise History of Hong Kong and Edge of Empire: Chinese Elites and British Colonials in Hong Kong. Details: Policing Hong Kong is published in paperback by Blacksmith Books, priced in local currencies.